Eleonor Bezzina placed seventh in the 10m air pistol competition at the Mediterranean Games in Tarragona on Saturday. The target shooter was the first athlete in action at the quadriennial Games and produced a solid performance in the morning qualifiers to book her place in the final when totaling 560 points. Bezzina placed seventh overall with Greece’s Anna Korkaki topping the qualifying round with 575 points. In the final, Bezzina failed to challenge for a medal as she could only compile 132.2 points to finish seventh overall. Korakaki took gold with 240.2 points ahead of Serbia’s Zorana Arunovic (239.9) while Egypt’s Afaf Elhodhod (214.6) completed the podium. In the trap competition, Brian Galea and William Chetcuti put themselves in contention for a place in the final after the opening three rounds of the shooting event. 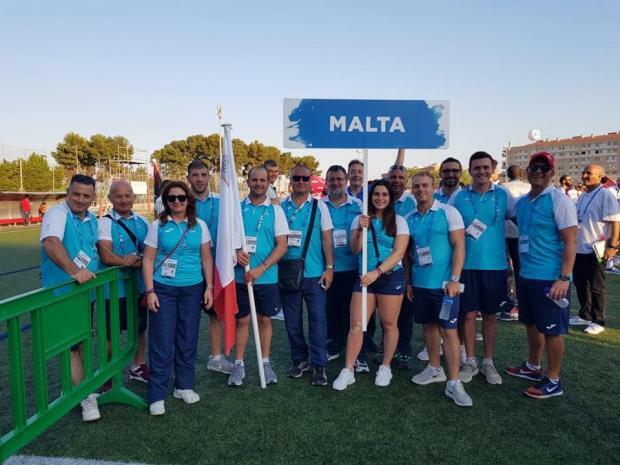 Galea hit scores of 22, 24 and 24 to finish ninth with 70 points, one adrift of Alain Moussa, of Lebanon, who occupies the sixth and final spot for the final. Chetcuti is just one point behind Galea after a straight of 25 was followed by a 23 and 21 for a total of 69. Giovanni Cernogoraz, of Croatia, is leading the way on 73 points. The final two qualifying rounds will be held today with the top six making the final.